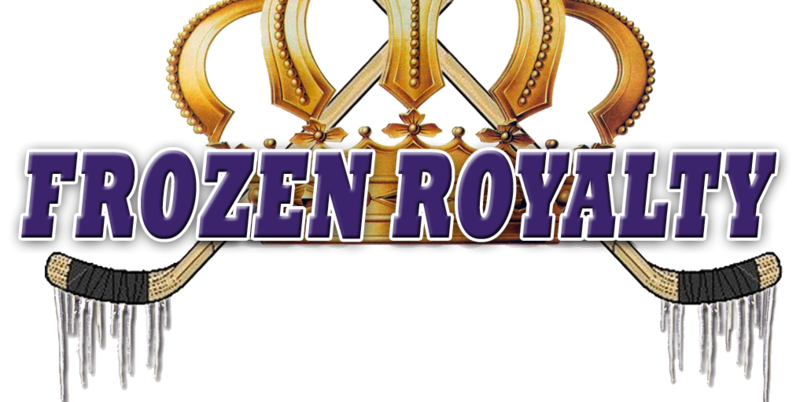 Your Participation On Frozen Royalty Is Welcomed And Encouraged! The idea behind using a blog platform for publishing stories here on Frozen Royalty (I’m sure you’ve noticed that this is not your typical blog—the stories published here are journalistic in nature, not the more informal pieces you generally find on most blogs) is to take advantage of the interactivity—readers are encouraged to add their thoughts and discuss the issues brought up by the stories by asking questions, sharing ideas, etc. To do this, you may post a comment by typing your thoughts, ideas, questions, etc. into the Leave A Reply box at the end of each story. Please note that your comment will be held for approval by the moderator before it is posted on the site. This could take a few minutes to several hours, depending on when the moderator can get to it. This policy helps prevent spam and abusive or obscene messages from appearing on the site. Those posting comments on this site will be held to a Code of Conduct that is not requested or suggested. Rather, it is expected, mandatory behavior. Although that may sound intimidating, the rules for commenting on this site are actually quite simple and unobtrusive. Spam/advertisements of products, services, other web sites (other than a reference to a related story that is germane to the comment, story or discussion), or for anything being sold or that someone can otherwise benefit from, are prohibited unless permission is granted by Frozen Royalty. Abusive language, personal attacks/insults, threats, no matter how obscure they may be and no matter if you are responding to a personal attack aimed at you (in other words, it doesn’t matter who started it) are prohibited. Use of racial slurs or those denigrating someone’s religion, gender or sexual orientation, or any other form of hate speech, is prohibited. A good guideline to keep in mind here is that although this site is predominantly read by adults, children are hockey fans, too, and they do read this site. Don’t post something you wouldn’t want children (your kids!) to read. Violations of the above rules could result in the person responsible for posting the comment being banned from further comment posting on this site. Also, please be advised that for those posting comments on this site, the IP address of the computer used to post the comment is logged. That information may be used to report such behavior to the appropriate Internet service provider for investigation of possible violations of their Terms of Service. Those posting comments must also stay on topic. Comments that stray too far from the story topic and/or the discussion related to the story will not be approved for publication. Please do not repeat the same message over and over, even if you’ve re-phrased your comments—no one has to have the last word in any discussion. In other words, beating the proverbial dead horse is prohibited. Comments that repeat the same message over and over are subject to deletion at the sole discretion of the moderator. If you are asked to drop a subject and/or refrain from repeating yourself, immediate compliance is required. Again, the Code of Conduct spelled out here is not optional. Anyone posting a comment on this site is required to follow this Code of Conduct, without exception. Those who violate this Code of Conduct will be dealt with on a case-by-case basis, but will generally be given one warning. Further violations could result in the violator being banned from posting comments permanently. Please note that I have better things to do with my time than baby-sit problem children who don’t know how to behave, are incapable of doing so, or are unwilling to. As such, if you’re looking for wiggle room in this Code of Conduct, forget it. Those who can’t follow these rules will find that I won’t spend much time trying to gain compliance from them. Very likely, I’ll just wash my hands of them after the first warning. Get The Most Out Of Your Comments! Make sure your comments are easy to read. Use of appropriate punctuation and paragraphs goes a long, long way to making sure people won’t go blind trying to read your comment. If you don’t care if people can read your comment, don’t expect them to bother. Or, if they do, don’t be surprised if they missed something you wrote. Use of ALL CAPITAL LETTERS is considered “yelling” in discussion forums on the Internet. It is rude behavior and should be avoided at all costs. Although you can use a phony e-mail address when posting your comment, it is recommended that you provide a real one in case the moderator needs to contact you about your comment prior to publication. In cases where the moderator must contact the author before publication and cannot do so, the comment will be deleted. If you are concerned about the possibility of receiving spam because you provided your e-mail address on this site, please be advised that Frozen Royalty will never provide your e-mail address to any third party for any reason (unless it is required by law) and your address will not appear with your comment.